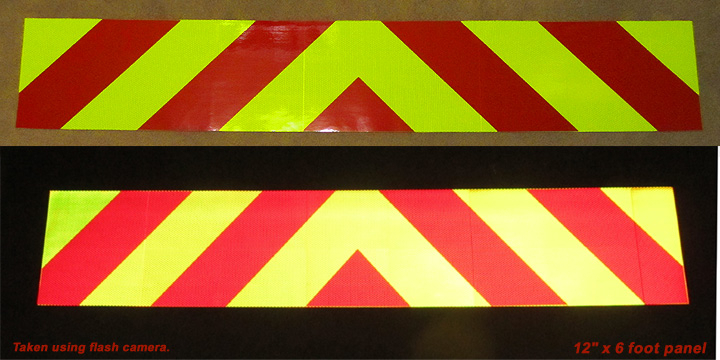 Our 12" tall x 72" wide Pre-Striped Reflective Chevron Panels are easy to install and satisfy the NFPA 1901 requirements for Chevron Stripes on Emergency Vehicles. 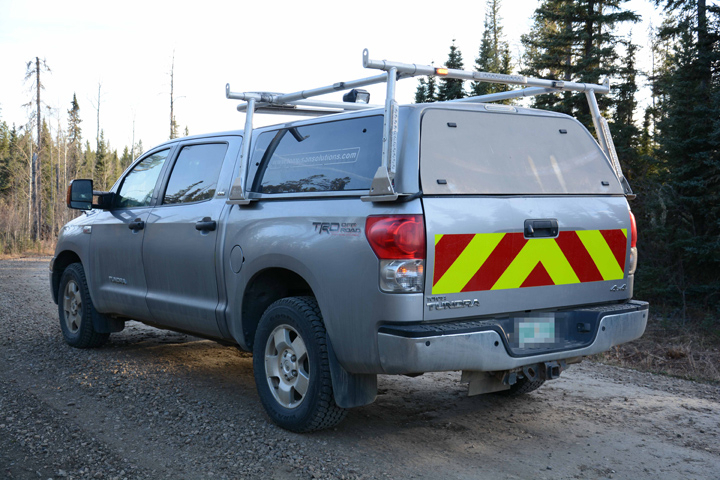 The panels on this page are intended to go on truck tail gates but can be trimmed or cut into narrower strips for applications on other areas. The panels are Fluorescent Yellow and Red and are based on Reflexite Reflective Prismatic Films which are the best in the industry. Prismatic films are the brightest of all the reflective tapes available and far exceed NFPA standards. The panels are easy to install using either a hinge method or soapy water application method. Both the yellow and red portions of the panel are highly reflective. There is a peel off backing which exposes the adhesive. One person can install the chevron but it is helpful to have a second person. The panel is very easy to trim with scissors or an exacto and can be modified to go around obstructions. We currently carry the following sizes.